Isaac the Northern fur seal is Flaherty's dad. While this hulking fur seal is a master basker, he knows how to get moving. His little pup, now a year old and thick as thieves with his pal Leu, is always frisky. 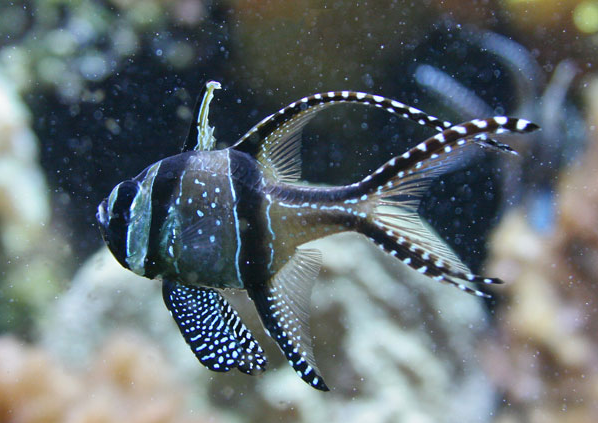 Look for the Banggai cardinalfish in the Level One living corals exhibit. These dad are very protective, they keep fertilized eggs in their mouths until their big enough to fend for themselves. Munawar is a little blue penguin and one of the newest dads at the Aquarium. 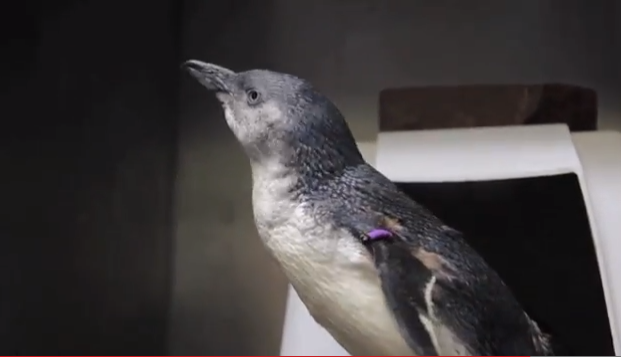 Meet his little blue penguin chick! Bring your dad to meet some of the fathers at the Aquarium! And don't forget about the hundreds and hundreds of animals (including Myrtle) in the Giant Ocean Tank right now. 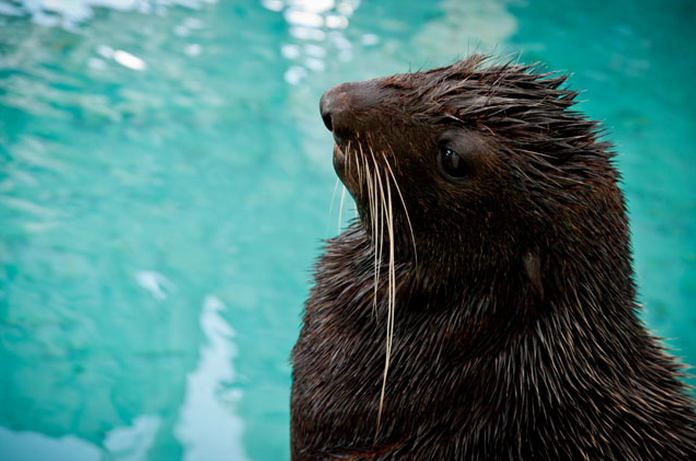 We're all getting ready for the New Aquarium Experience, which starts July 1! Home again, home again, penguins return! Look for sharks on the small screen tonight! See super-sized great white sharks in 3D!